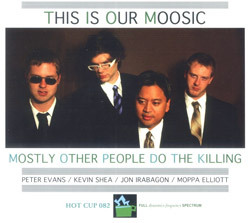 Recorded and mixed on analog tape, MOPDtK combines historical jazz lineage and the 21st century perspective of MOPDtK's members (Jon Irabagon; Ron Stabinsky; Moppa Elliott; Kevin Shea), with each piece dedicated to an individual who influenced their compositional process. 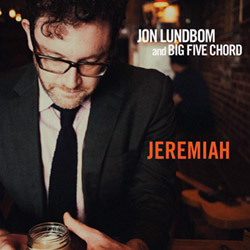 Guitarist Lundbom expands his Big Five Chord of Jon Irabagon (sax), Bryan Murray (sax), Moppa Elliott (bass) and Dan Monaghan (drums) to include Sam Kulik on trombone and Justin Wood (sax & flute) for a dynamic album of power jazz named after the prophet Jeremiah. New York's brilliant band takes on Miles Davis' classic "Kind of Blue" in a note-for-note recreation, a head-scratching anomaly that is as close to performing a perfect replica as is imaginable. 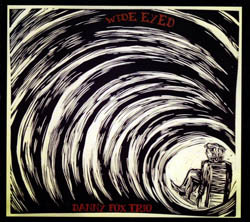 Pianist Danny Fox's trio with bassist Chris van Voorst van Beest and drummer Max Goldman in an album showing how the tight rapport this touring band has developed on the road, performing Fox's melodic and inventive compositions with a wealth of influences and style. 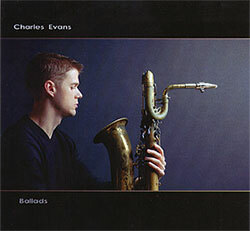 Baritone saxophonist Charles Evans artfully navigates seven ballads, from standard pieces such as "Body and Soul" and "Chelsea Bridge" to 2 original compositions, in a band with Moppa Elliott (bass), Eli Hludzik (drums), Neil Shah (piano), and Eric Dutko (guitar). 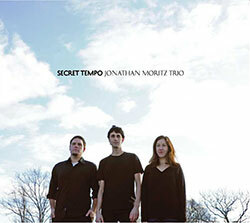 Secret Tempo juxtaposes NY saxophonist Jonathan Moritz' feel of jazz with elements of modern compositional and improvised music, from Bird to Webster, Webern to lowercase, as performed with his trio of bassist Shayna Dulberger and drummer Mike Pride. 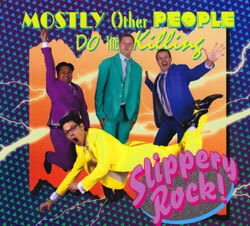 Claiming to have been inspired by smooth jazz, the 6th MOPDTK album is a remarkable achievement of forward-thinking free jazz with a bizarre sense of humor and an irresistible love of poking fun at form while simultaneously paying homage. 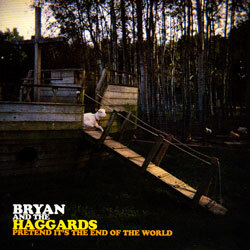 Jazz, country and western music converge in unexpected ways in the 2nd release from the quintet of saxophonists Bryan Murray & Jon Irabagon, guitarist Jon Lundbom, bassist Moppa Elliott, and drummer Danny Fischer. 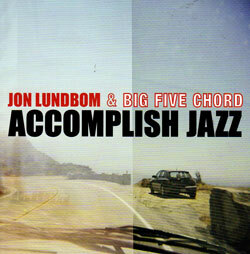 The first recording by guitarist Jon Lunbom's Big Five Chord with bassist Moppa Elliott, saxophonists Jon Irabagon and Dominic Lalli, and drummer Justin Walke, superb 21st century jazz. 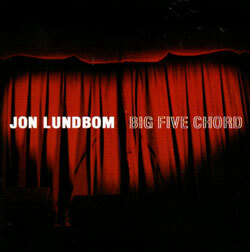 Jon Lundbom's Big Five Chord took three years off before this album to develop the "Bryand and the Haggards" alter-ego, returning with this intense genre-shipping and virtuosic album. 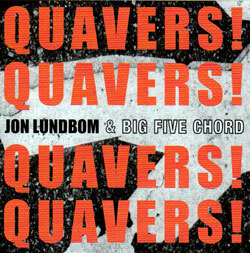 Lundbom, Jon & Big Five Chord With Irabagon / Murray / Elliott / Fischer + Kanelos: Quavers! Quavers! Quavers! Quavers! The fourth release from NY guitarist Lundbom's Big Five Chord, wide ranging jazz tunes with two saxes (Irabagon and Murray) in a band with great technical and melodic power! 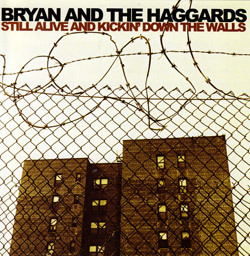 New York's most decorated avant-country instrumental Merle Haggard cover band featuring Bryan Murray and Jon lrabagon on sax, Jon Lundbom on guitar, Moppa Elliott on bass and Danny Flscher on drums. 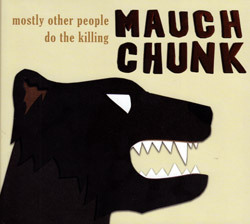 Drummer Barry Altschul joins saxophonist Jon Irabagon and bassist Peter Brendler in an incredible trio of free improvisation and hard playing that's not afraid to put a little cheesecake on the cover. 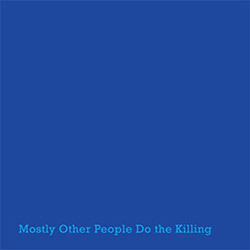 With a cover borrowing heavily from the Impulse label, this incredible NYC band's 4th release blends 60s jazz with modern improv in creative and edge-of-your seat energetic music. 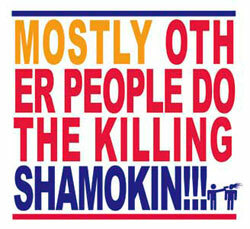 Mostly Other People Do The Killing: Shamokin!!! 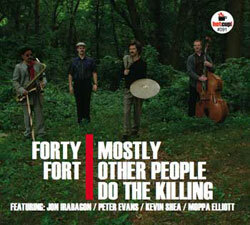 New York's MOPDTK (Evans/Irabagon/Shea/Elliott) performing band leader Moppa Elliott's post-uber-be-bop that smokes in the future tradition of 50s jazz.